I’ve been trying to use some of my untrieds and I’ve had Caitlin since Zoya had that whole collection on sale. It’s a blue grayish purple, I think is lovely! 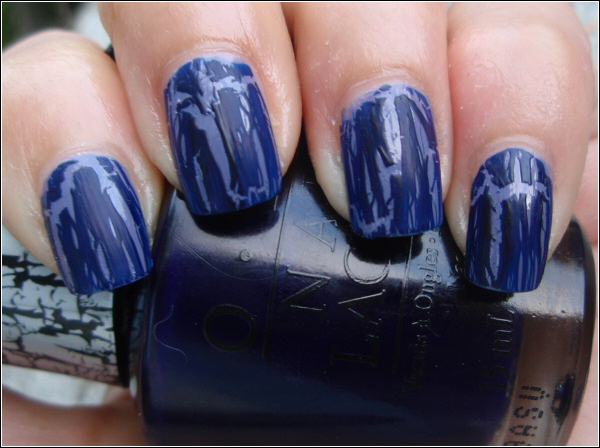 Navy shatter applied well, so far I like it most of all my OPI shatters!